Most attendees expect to see massive, robust mining equipment when they attend MINExpo INTERNATIONAL. What caught a lot of people by surprise with this event was the sheer size of the exposition. The U.S. National Mining Association (NMA) hosts MINExpo every four years. Over the course of the last two or three events, delegates have developed a routine. They arrive with a list of key contacts to meet and then try to make an effort to walk the exhibit. Applying that approach to MINExpo 2012 left many exhibitors and attendees wondering if MINExpo should be extended from three days to four—and that’s a good problem to have. Adding to the excitement, the NMA organized an informative technical program, which kicked off with several mining executives talking about the future of mining. The overall message was upbeat—more so for mining activities outside the U.S. They did hint at an eventual renewal in some parts of the U.S. even for coal mining. Sessions during the mornings of day two and three discussed other aspects of mining with heavy emphasis on safety and technology. Trying to cover 1,800-plus companies, all of the announcements, and the program with a finite set of pages would be impossible. Mining Media had the largest contingent of editors on the floor and attending press events. What follows is a snapshot of highlights from those three days in Las Vegas in September. Over the course of the next year, E&MJ will elaborate on many more subjects in-depth. Keeping its newest member of the Pit Viper family top secret until the show, Atlas Copco introduced the Pit Viper 311 wide-range rotary blasthole drill. It is similar to the Pit Viper 351 with its single-pass drilling but the Pit Viper 311 has the capacity to drill holes deeper, to a maximum depth of 125 ft (38.1 m). Drilling up to 65-ft (19.8-m) clean holes with a live tower can reduce non-drilling time and, combined with taller benches, can greatly increase production capability. The Pit Viper 311 is the first release of the all new Pit Viper 310 series. Atlas Copco Engineering Project Manager Iain Peebles said the PV-311 offers a narrow range of hole sizes from 9 to 12.25 in., which fills in the gap between the hole ranges of the Pit Viper 351 and the Pit Viper 270. The tower has an interchangeable unit, structurally similar to the Pit Viper 351, but is deeper to accommodate larger sheaves for either single-pass or multi-pass applications. Weldments have also been improved, including a ladder that provides access to decking in the tower above the rod changer when the tower is horizontal. Bits can be changed above the Pit Viper 311 rig’s deck even while single-pass drilling 65-ft-deep (19.8-m) holes so operators will have their eyes on making and breaking the connection each and every time. The two-speed hydraulic rotary head delivers 12,880 ft-lb (17.62 kNm) of rotation torque at 140 rpm and 7,000 ft-lb at 240 rpm. Hydraulic cylinders drive the cable feed system, and the patented automatic cable tensioning system reduces cable and rotary head guide wear by continually keeping the rotary head aligned and taut, cutting down on unscheduled maintenance time. Atlas Copco also previewed a new package of upgrades to its Boomer underground mining rigs. The entire package of up-grades and improvements will be applied to all new computerized Boomer rigs beginning in the second quarter of 2013. The Boomer range was represented in the booth by a Boomer M2 C. The upgrade package offers an improved control system with a user-friendly interface, a larger intuitive 15-in. touch screen, two multi-functional joysticks instead of four, and the latest rig support planning software. Boomer face drilling rigs can be equipped with up to four booms providing a coverage area of 16 to 208 m2 (172 to 2,239 ft2) and the most extensive range of high performance rock drills on the market (16-30 kW) designed to tackle all rock types and drilling conditions. “The new Boomer combines all of the benefits of Boomer technology with a wide range of new features and functionality to meet any challenge that miners may face. With these improvements, we are confident the new Boomer series offers one of the most powerful and productive underground mining rigs and tunneling rigs on the market,” said Johan Jonsson, product manager, Atlas Copco’s Underground Rock Excavation Division. Jonsson added that the upgrades to the Boomer range will satisfy the increasing demand for automation and documentation of all drilling operations. Operator comfort and safety were also priorities for the new series of Boomer upgrades. For example, the FOPS/ROPS certified cabins are air-conditioned and ergonomically designed, featuring the latest operator seat and controls. Depending on the rig type, an operator can choose to run the rig from a standing or sitting position. All of this contributes to increased productivity in the field. Caterpillar’s current slogan—introduced at MINExpo 2012—is “The Broadest Product Line in the Mining Industry,” and a stroll through the company’s 1.2-acre exhibit at the trade show lent considerable credence to that claim. Although even that amount of surface area wasn’t quite enough to fit-in every type of equipment that the company offers, Cat did find enough open space to bring in a 420,000-lb Electro-Motive Diesel (EMD) SD70ACe locomotive—decked out in Caterpillar yellow—from its Progress Rail Services subsidiary, in addition to displaying units of its mining-class haul trucks, excavators, dozers, wheel loaders and a wide range of other surface and underground mining equipment. Prior to the start of the three-day show, Cat hosted a press event during which the company presented a product segment-by-segment rundown of new or recent product, technology and strategic developments in its global mining business. With a portfolio that now includes surface equipment ranging from conveyors to draglines—and every type in between—and underground longwall and hard-rock cutting and haulage lines, there’s room in this MINExpo wrap-up only for thumbnail sketches of developments in each equipment segment. Haulage Systems—This segment includes articulated trucks, smaller off-highway trucks, E-Ject truck body systems, scrapers and conveyors. Segment manager Larry C. Tate said his group would not introduce any new products at MINExpo—but that didn’t mean his segment hasn’t been active. During 2011–2012, according to Tate, the company introduced three new articulated truck models (735B. 740B, 740B EJ), five new off-highway models (770G, 772G, 773G, 775G, 777G), and three new scraper models (621H, 623H, 627H). What type of material is being moved? What are the underfoot conditions? How much material has to be moved? What is the total job cycle distance? What are the job site time/production requirements? Conveyor systems are the newest option in Cat’s hauling system portfolio, according to Tate. Installations will be custom-made to match the profile, distance, material characteristics, tonnage and desired belt speed for each application. Surface Material Handling Products—The big news in this area, according to Segment Manager Sri Srinath, is that Cat now can offer a competitive current lineup of rotary drills, encompassing six models from the former Bucyrus stable that offer bit-loading capacities of 53,000–165,000 lb, hole diameters of 6–17.5 in. and single-pass hole-depth ranges of 29 ft to 65+ ft. The company’s track drill line includes five models offering 2- to 6-in. hole diameter—but no DTH models yet. In both the rotary and track drill segments, Cat’s intention is to expand its product lines to fill in missing gaps. New for 2012 are the MD5150, MD6240, MD6420B and MD6540 rigs, with the latter two models representing a new ‘global platform’ design that allows Cat to produce multiple configurations from a common base, tailored to regional or other application requirements. Srinath noted that Cat has a “sharp focus” on further development of drill technology, and is working with key mining companies on development of autonomous rigs. Cat drills will be sold and supported through the Cat dealer network. Globally, the company currently has more than two-dozen dealers “onboard” for drills, and is intent upon bringing in more of its mining-industry dealers for the rotary drill business. Underground Products—In the underground coal sector, Cat now can offer a complete longwall shearer range comprising four models (Electra EL1000, EL2000, EL3000, EL4000) with height capacities from 3.2 m to 7.2 m, explained Segment Manager Uli Paschedag. One EL3000 shearer is currently operating in Australia and another is slated to go into service in India soon. Productivity: Installed horsepower across the range matches market demand, and the shearers feature a new, powerful PMC-S Evo control system. Reliability: Offering a unique, robust mainframe; insert trapping shoe; and Ethernet-based communications and control system. Modularity: Line consists of four machines with two sets of components. The EL4000, for example, has a bigger mainframe than the EL3000, but otherwise uses most of the same components featured on the smaller machine. Cat has developed a Personal Proximity Detection (PPD) system, described as an assisting, risk-mitigating feature that identifies the presence or absence of personnel on a longwall installation accurately, repetitively and reliably, and transmits this information to the machine’s control system. PPD also works with a continuous miner operations, detecting the presence of personnel within a certain distance of a machine, providing warning signals to workers in the vicinity, and inhibiting machine movement when workers are detected in the surrounding areas. Cat also will begin to offer Chinese-made Siwei mid-tier roof supports as a complement to its own line of supports. The mid-range units will retain Siwei branding and will be sold within Cat’s Global Mining business. Just recently released is the CM235 continuous miner, a 67.5-ton machine rated at 940 total horsepower and 550 cutter head horsepower, capable of load rates from 15-32 tons per minute. New in the underground hard rock area is the R3000H LHD and AD60 mine truck. The new LHD maintains the R2900G’s XTRA profile, provides 20-ton truck loading capacity, and has performance improvements that include 25% more lift and tilt breakout, 12% more dual stall rimpull, 26% higher speed on 1:7 grade (loaded) and a 42% reduction in ventilation rate (CANMET). It is targeted for production in early 2014. The AD60 truck replaces the AD55 and offers engine/power train durability improvements, better cooling capabilities, and structural improvements and enhanced operator comfort, according to Cat. Production is scheduled to begin in the first quarter of 2013. Finally, according to Paschedag, Cat is developing a prototype for a continuous miner-style, hard-rock cutting machine and plans to begin trials of the unit within a few months. Large Mining Trucks—It’s been an eventful four years since MINExpo 2008 for Cat’s mining truck business, said Ed McCord, segment manager, and the acquisition of Bucyrus’ Unit Rig electric-drive truck lifted the truck group’s level of activity even higher than usual. In the years following the last MINExpo, said McCord, Cat began production of the 793F, 797F and 795F AC; designed, tested and began producing the 789D; started field tests on the 793F AC; and went ‘live’ with the MineStar Command for Hauling system. 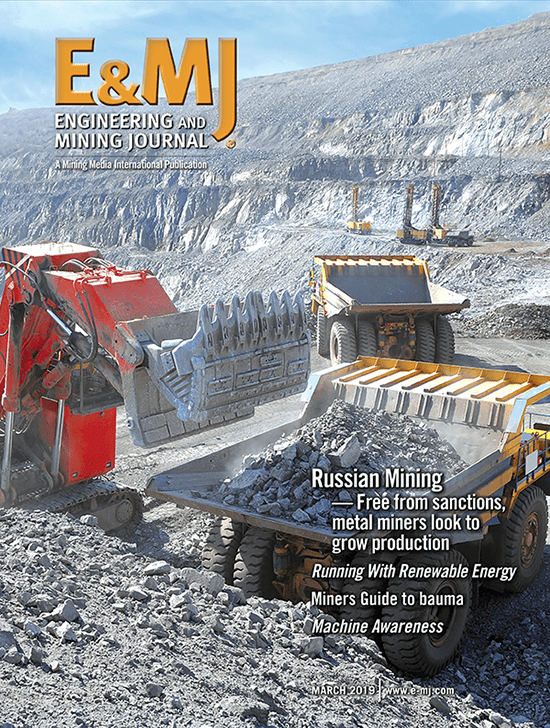 It also initiated development of Liquified Natural Gas (LNG) engine development for its largest mining trucks (see article on p. 48). The company’s long-term strategy for its mining truck business, said McCord, includes “extending our leadership position,” continuing to increase manufacturing capacity and footprint, improving product-line power train efficiency, and establishing Cat as a technology pioneer—a new stance for the company. Even so, McCord also noted that Cat is not currently planning development of any truck larger than its 797F without a significant advance in necessary technology. Cat is intent upon “building on its foundation” in further development of the Unit Rig brand, said McCord, taking advantage of Unit Rig’s long history in the industry, its unique technology in certain areas, and its distinction as being the only mining truck line with AC drive throughout the entire range. There was also, he noted, value in capitalizing on Unit Rig’s name recognition in certain markets such as China and Russia. Cat will continue to increase vertical integration of the Unit Rig line in conjunction with its EMD operations; i.e., customers will see more EMD components in the Unit Rig line in the future. Support for the line will be provided by Cat’s worldwide dealer network. Cat will move assembly of the large Unit Rig mining trucks from Mexico to its Decatur plant, leaving the Acuña, Coahuila, plant to focus on “large fabrications” needed for truck production. Although it will continue to produce other MT models, development money will be spent mostly on the larger rigs. The flagship of the Unit Rig line will be the new MT5300D AC, a 320-ton-capacity, AC-drive hauler powered by a Cat C175-16 diesel with 2,750- and 3,500-hp options. Cat redesigned the frame to handle 320-ton payloads and equipped the new model with what, in essence, is a 795F AC drive system—all part of an accelerated development schedule that began in 2011 and had the truck up and running late in August 2012. Although the MT5300D AC is, in many ways, similar to the 795F AC, it won’t have certain features included in the Cat-branded truck, including the unique blended retarding system built into the 795F. Production is expected to begin early in 2014. Large Loading Tools—With an eye toward the changing requirements of the global mining industry, Cat designed and introduced the 6120B FS, which it touts as the industry’s first hybrid, ultra-class hydraulic shovel. The 120-ton-bucket-payload shovel employs new diesel-electric technology that makes it a very attractive alternative to other shovels at short-term operations, non-electrified mine sites and greenfield development projects, said Surface Extraction Product Segment Manager Joe Helfrich. 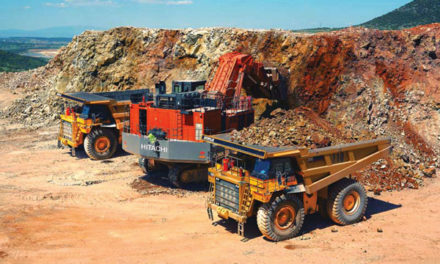 The 6120B—first in a planned line of B series machines, according to Helfrich—features hybrid technology with energy-recovery capabilities that involve quick, efficient reversal of flow in the shovel’s hydraulic circuits, in the process reducing fuel costs by at least 25% while providing the capability to three- to four-pass match with ultra-class haul trucks. The company is currently assembling a pilot machine in Milwaukee, Wisconsin, and then expects to ship the unit to its Tinaja Hills test facility in Arizona before the end of the year. Offering performance similar to Cat’s 7495 rope shovel, Helfrich said the 6120B would, in fact, make a “great backup machine” to traditional rope shovels, while giving Cat capability to address the “full space” of ultra-class truck loading requirements demanded by its customers. Cat’s 7495 rope shovel now utilizes some of the technology developed in the 6120B project, said Helfrich, and is capable of running on one-third the power required by traditional shovels. This capability, he said, has the potential to change the way mines are planned and started in areas where off-grid power is the early—or only—choice. Cat currently has a test version of the upgraded 7495 running at Tinaja Hills, powered by two 3512 diesel gensets. As part of the Bridgestone Mining Solutions program, Bridgestone launched B-TAG, a system that monitors tire pressure and temperature and reports the data in real time, so mine operators can make informed decisions that impact safety, tire performance, maintenance and production. B-TAG hardware is installed on the vehicle; data is sent from sensors in the tire to the onboard system in the vehicle, and then may be forwarded to the mine dispatch system, a B-TAG handheld reader or downloaded directly for analysis. Mine operators can not only see data in real time to make immediate decisions, but data can also be compiled to identify pressure trends or assess and adjust operating conditions for more long-term solutions. The company also announced it will make an additional investment of $27.3 million for a second expansion project at its Bloomington, Illinois, off-the-road (OTR) plant. Most of the investment will go toward new machinery for the production of giant loader tires. This announcement follows news in April of a $19.5 million investment in the plant to increase production of tires used in heavy industry. Emerson Process Management announced it had entered into an agreement with P&H Mining Equipment to extend vibration monitoring to its electric shovels. Emerson’s onboard monitors will recognize excess vibration in key shovel components and notify operators in real time—enabling users to take corrective action in time to prevent unexpected shutdowns and possible damage to the huge excavating machines. The agreement covers continuous vibration monitoring of the hoist, crowd and swing systems on P&H Centurion controlled shovels. Vibration monitoring will be offered on all new P&H shovels, and all existing Centurion controlled shovels can be retrofitted to include vibration monitors. Manufactured using Synteq XP media, Donaldson’s new FLK assemblies provide higher pressure fatigue ratings than traditional filters. With its re-usable filter housing and replacement cartridge design, it offers several advantages for disposal of used filters. The FLK’s industrial, raised hand-grips make it easy to remove the housing from the head without the need for special service tools. The versatile filter head accommodates multiple filter lengths, while the housing locks the filter cartridge in place, providing a clean filter service process and simplifying positioning during assembly. Flexco’s Cordless Belt Cutter has been designed to provide quick and easy cuts on rubber, PVC and fabric-plied belts. The portable tool is currently available in two sizes. The CEBC1 is capable of cutting rubber belts up to 1-in. (25-mm) thick and PVC belts up to 360 P.I.W. (63 kN/m) while the CEBC2 is capable of cutting rubber belts up to 2-in.-thick (50-mm) and PVC belts up to 1140 P.I.W. (200 kN/m). The company also showcased two new products to improve performance in belt conveyor load zones. These include the Flexco EZ Impact Beds, which provide simple and effective protection in the load zone, and Flexco EZ Slider Beds, which provide containment to reduce spillage. Flexco recently added the CoreTech line of rollers to its wide range of products designed to maximize belt conveyor productivity. These next generation troughing and return rollers are made of lightweight, high strength, corrosion- and abrasion-resistant composite materials. Hitachi Mining introduced the EH5000AC-3 haul truck, powered by the new Advanced Hitachi AC Drive System. The system is designed and built by the same company that manufactures the truck. The rigid-frame truck has a Cummins QSKTTA60-CE diesel engine that generates 2,850 hp (2,125 kW) at 1,900 rpm and meets EPA Tier 2 emissions requirements. The all-hydraulic actuated braking system provides precise braking control and quick system responses, and a new monitor displays information and diagnostics of all onboard systems and controls. The most significant update, however, is the hauler’s new AC drive system. At the core of the new system is the advanced propulsion technology, which delivers a whole new level of efficiency, vastly enhancing machine operations. The new technology, which also powers Japan’s famous bullet trains, features slip control for traction, similar to active traction control; slide control for grip, similar to an anti-lock brake system; pitch control for smoother ride control and control of bouncing when stopping; and skid control for stability in cornering when road conditions are slippery. While slip and slide control were already available on existing Hitachi trucks, the new system now features sensors on all four wheels. It also incorporates additional feedback from the drive system, front wheels, steering, suspension and other systems on the truck to enhance the slip/slide control feature. Pitch and skid control are brand new features. Hitachi Mining also introduced SkyAngle, a new camera monitoring system. The new technology, which was developed in conjunction with Clarion, takes synthesized images from several wide-angle cameras mounted on the truck and displays them in the cab. This results in a comprehensive “bird’s-eye-view” of the surrounding machinery. In addition to the proximity of machinery, the operator can switch to a “zoom display” or “wide display” mode, enabling more comprehensive monitoring of a wide area. “The safety benefits of the SkyAngle system are tremendous. It allows operators to quickly grasp what is occurring around the machinery, such as position of other equipment, service vehicles or people,” said Ryan Blades, division manager, Hitachi Mining. SimCloud: allows mining operations to maintain complete visibility over local or global Simulation training programs via a secure website. Global Operator Benchmarking: allows mining operations to benchmark their equipment operators against global norms based on data captured from more than 23,000 operators. Trainer Productivity Station: is designed to alleviate the industry shortage of experienced trainers. SimDesktop: allows trainers and managers to take advantage of these tools anywhere, anytime. SimMentor: SimMentor facilitates briefing before and debriefing after simulation training sessions, increasing training effectiveness and freeing up simulator time. JoyGlobal also showcased several more examples of advancing technology that helps mines increase operational efficiency. Those included new electric shovel advancements, an innovative P&H drill operator cab and new training simulators. The company also recently announced a new strategic business alliance with ESCO to develop new lip systems for shovel dippers. JoyGlobal’s new hybrid shovel, the P&H 2650CX, is a diesel-electric rope shovel with an articulating hydraulic clamshell attachment designed to deliver a 65-ton payload. The machine will four-pass load 240-ton trucks and be capable of loading ultra-class 400 ton trucks. Engineered to blend the high productivity of electric mining shovels with the mobility and flexibility of hydraulic excavators, the P&H 2650CX is designed to deliver a 15% total cost of ownership reduction when compared to large hydraulic excavators through a combination of reduced fuel consumption, improved availability and decreased maintenance and repair costs. In addition to reduced fuel consumption, the P&H 2650CX will decrease the hydraulic routings, on-board fluid and pumps. This substantially improves system level reliability, efficiency and maintainability—which can result in increased machine availability over traditional diesel-hydraulic excavators. 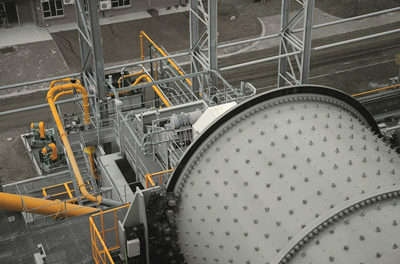 The first machine is slated to be placed in mine in the fourth quarter of 2013. JoyGlobal also introduced the P&H 4800XPC, the company’s largest electric mining shovel, with a 135-ton payload designed to three pass load 400-ton ultra-class haul trucks. 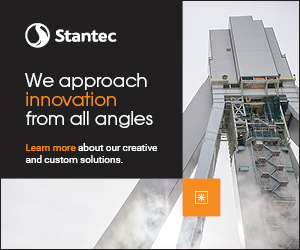 Built upon the proven performance of the P&H 4100XPC AC, its design leverages new, patent pending Adaptive Controls technology with ultra-class machine structures to enable the larger payload and increase efficiencies. In addition to the Adaptive Controls, the P&H 4800XPC features robust machine structures and systems such as a wider boom and handle, a new dipper with a higher weight to payload ratio and a patent pending modular counterweight system. The company estimates a production increase of as much as 20% over the P&H 4100 XPC AC with the potential to move more than 9,000 tph in production. 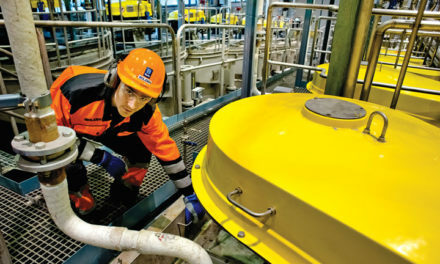 The first machine is slated to be placed in a mine in the fourth quarter of 2013. Liebherr unveiled the new ultra-class T 284 as the follow-up to the successful T 282 C. The T 284 offers one of the highest payloads in the industry and features the latest generation of the Litronic Plus AC drive system. Developed and built by Liebherr, the proven Litronic Plus AC drive system determines the optimal way to extract power from the diesel engine. With this system, more power is available to accelerate the truck and climb grades. The Litronic Plus system also conserves fuel when the engine is idling. In this way it minimizes fuel consumption and maximizes performance. The combination of the T 284’s efficient Litronic Plus AC drive system, its high-power engine, and low gross vehicle weight leads to fast haul cycle times with higher speeds on grade if compared to other trucks in its class. The T 284 supports engine options with power ratings up to 4,023 hp/3,000 kW. With application-specific recommendations from Liebherr, mine operators can select the engine that will allow the truck to meet productivity targets while minimizing fuel consumption. These engine options offer the latest fuel-injection technology for cleaner combustion and reduced fuel consumption. The T 284 also supports high-capacity tires. Liebherr also introduced the R 9150 hydraulic mining excavator, which was one of the two Liebherr hydraulic mining excavators shown at the Liebherr stand. The R 9150 is equipped with a Liebherr 12 V engine rated at 565 kW (757 hp). Its operating weight is 127 metric tons or (280,000 lb) and the machine is equipped with an 8 m3 (10.5 yd3) backhoe or face shovel attachment. MTG launched four new sizes and five new designs for its hammerless StarMet system. The EX sizes 240 and 500 were designed specifically for mining. The new StarMet sizes 15, 20, 30 and 40 are available on the most popular MTG designs. The new product’s main innovation consists of being the lightest and the one with the shortest tooth nose available on the market. It incorporates the new Bilateral MTG Twist fixing system (both the retainer and the pin can be assembled on both sides of the adapter) that allows the user to introduce the pin through the most convenient side. The TH551 and TH663 are the latest additions to Sandvik’s underground ramp hoisting truck family. According to Sandvik, these new trucks demonstrate the latest innovations in hard rock ramp hauling, and are the clear forerunners of next generation underground trucking. The new additions to the TH500–600 series ramp hoisting trucks have been designed to the last degree, with state-of-the-art safety and productivity levels previously unheard of, not to mention the increased overall hauling speeds (tons per hour). The series’ trucks will also be available with low emissions Tier 4i-technology engines that provide remarkable torque characteristics with low fuel consumption. Significantly reducing the costs caused by underground ventilation, the environmentally friendly engines also markedly improve underground working conditions. The TH551 and TH663 are engineered to be a perfect match for the LH517 and LH621 loaders. This productivity partners concept allows for a fast three-bucket loading system that increases the load and haul cycle efficiency, resulting in high levels of overall cycle productivity. “Innovative thinking, comprehensive research in the complete underground hard rock hoisting application and customer feedback have played a major role in the design process of these new trucks,” said Mark Ryan, product manager for Sandvik Trucks. With more than 63 different safety features to protect the operator, maintenance staff and the truck itself, the TH551 and TH663 are the safest hoisting trucks Sandvik has ever made. Through intelligent design, they also offer maximum operator comfort. The trucks have been designed and built with high reliability and ease of maintenance in mind. Particular attention has been given to the replacement time of large components, such as engine transmission, resulting in significant increases in uptime hours and the total tonnes per year hoisted.